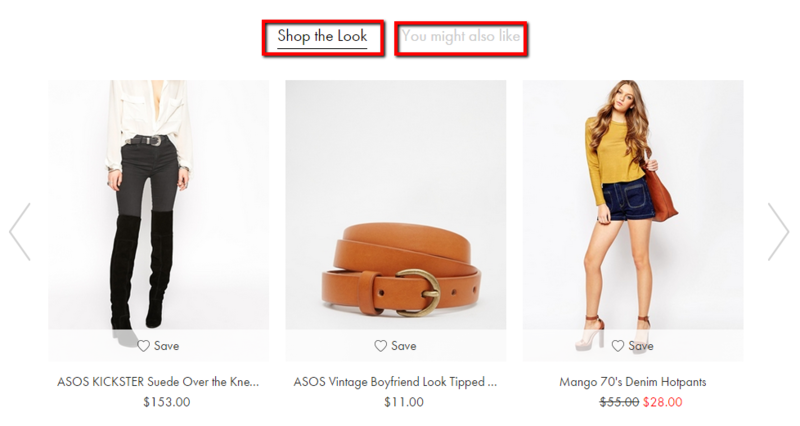 Do Product Recommendations Really Work For eCommerce Businesses? But Amazon’s product recommendation system is no joke!If you are a first-time visitor on the website, you will find generic recommendations such as “What Other Customers Are Looking At Right Now” or any “Best Seller”. If you visit it again, you will find personalized recommendations on the homepage that are based on your previous visits’ browsing history. Multiple studies by Gartner and Forrester show that such a strategy, if deployed well, can increase revenue by up to 300%, conversion rate by 150% and average order value by 50%. No wonder Amazon is crazy about product recommendations, and well yes – you should be too! Now, it’s your turn to take a call! A MyBuys study of more than 100 top internet retailers states that recommending products in the shopping cart based on the buyer’s purchasing or browsing behavior resulted in a 915% increase in conversion rate. A 2015 study by Barilliance indicated that up to 31% revenue of the 300 eCommerce sites surveyed was generated solely from personalized product recommendations during the last quarter of 2014, and the worldwide average of the same was 12%! Moreover, 86% of consumers say that personalization plays a role in their purchasing decisions. And, a recent study by Deloitte and ExactTarget states that 50% of CMOs said they will soon implement personalization strategies on their stores. Such effective product recommendations aid in improving customer retention and extending the customer life cycle. A research by Cisco revealed that 78% of shoppers use the internet to research about their potential purchases. This means they want to assure themselves that when they make a purchase, they get maximum value out of their decision. For an effective product recommendation strategy, make a list of all products you want to sell and divide them into two categories – regular ones and expensive ones. Tie the better product with the regular ones. You will find 4% of customers will buy a better product if offered and are even ready to pay a premium amount for that! Similarly, cross sell products should be at least 60% cheaper than the product added to the cart. If you give a customer a complete package – for instance, camera and batteries at a lower price – he or she will not think twice about buying both. Let’s be honest – online shoppers can’t resist offers that make them save money without having to compromise on the number of products they buy! 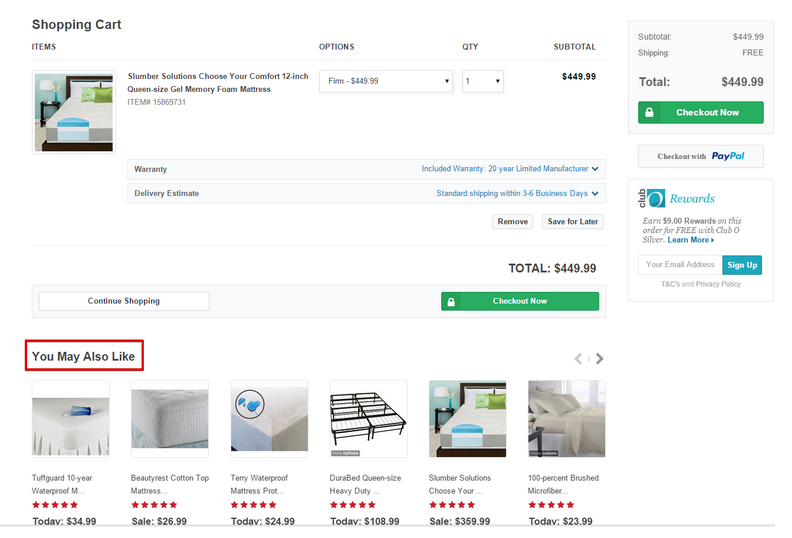 If you offer a product bundle or a set of similar products at a cheaper rate, than if bought individually, your eCommerce order value will increase. Boots, a pharmacy chain in the UK & Ireland, is known to use this recommendation strategy not only on their website but also at their brick & mortar stores. So your potential customer has filled the shopping cart and is now proceeding towards the checkout process. To grab his or her attention one final time, you can add “You May Also Like” widget, showcasing both complementary and supplementary product offers. Since the eCommerce website just gets one chance to attract the potential customer’s attention, the suggested items should be highly relevant and personalized. If done right, the e-store can achieve a conversion rate that is as high as 150%. Avoid overwhelming your customers or diverting them from completing the conversion process. Instead, make sure your recommendations are relevant and are actually helpful to them in making an informed decision. But how can you ensure this? With the use of Wigzo! Surveys suggest that 70% of consumers expect brands to offer personalization as a standard. They want more contextual shopping and interaction experiences, based entirely around their interests and preferences. This interaction includes the product and service recommendations that brands have to offer to their customers. Wigzo’s machine learning technology helps you to understand the changing needs of these customers and optimize your marketing strategies accordingly. When you know what a customer is looking for, the recommendations you make become more relevant to him.